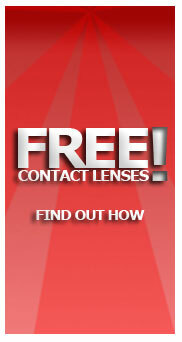 ColourVUE Crazy Lens One Day™ brings you the ultimate convenience and comfort. No more maintenance. Fit a fresh new pair for every occasion. Our top sellers Whiteout, Red Devil, White Zombie, Blackout, Dragon Eyes, Orange Werewolf, Blood Shot, Sky Blue, Twilight and Volturi are now available as daily disposables. Get a pair for a worry free costume party or Halloween this year.